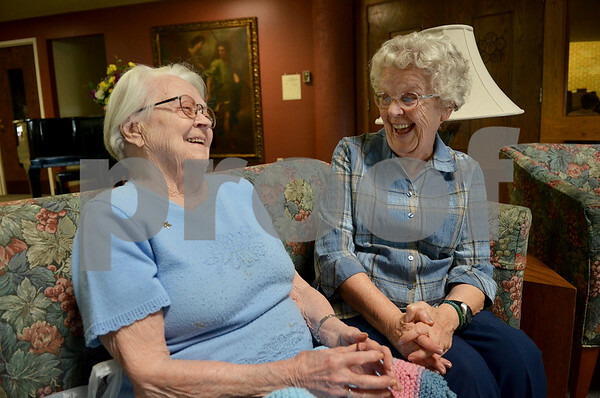 Mavis Bell (left), 104, shares a laugh with friend Jane Bastian, 87, at Oak Crest Retirement Center on Tuesday, April 22, 2014. Bell will be 105 years old on Sunday. She has a large family including 13 great-great-grandchildren.